I recently got my Onda 633 and went out on it a few times. The front foot pressure is definitely beyond anything else I rode so far so I am wondering if the setup could be more neutral with a smaller stabilizer. The hole pattern seems to match so it would be a straight swap from my Fluente 550 setup. Did anyone try this already and what was the experience? Might be fun in terms of a more lively hydrofoil in terms of turning though, but off topic. Try shimming the stab as the first thing. Then you can also shim the fuselage/mast to get the wing further rear, but will also give you a "nose up" riding posture, which you might or might not like. Assume moving the mast more rear on whatever board you have is not an option, as otherwise you would have done that straight away. I'm on 633 and 2016 fluente mast. Came from 590 and 550 wings. I'm using foothooks, but they are positioned rather far forward and back, so I'm not restricted by them while riding. My front foot is never so far forward to touch the foothook. Nor the back foot. So essentially I'm strapless. I've switched boards from 590 to 633, but I can measure where my feet are in relation to the mast plate and what I've discovered is that my feet move around more on the 633. I'm moving feet depending on wind, waves, bearing, and how much seaweed is stuck on the wing. The difference in forward stance is minimal. What this tells me is that I can't understand how anyone can be using straps on this kind of wing! if you lock your feet into position, you're missing 80% of the versatility. So take off your straps using the 633. If you don't have straps you can just shift forward. The 633 is super agile with the standard stab wing. this is what I did before changing to a board with tracks, and before I had my Moses T60 customised by installing tracks. 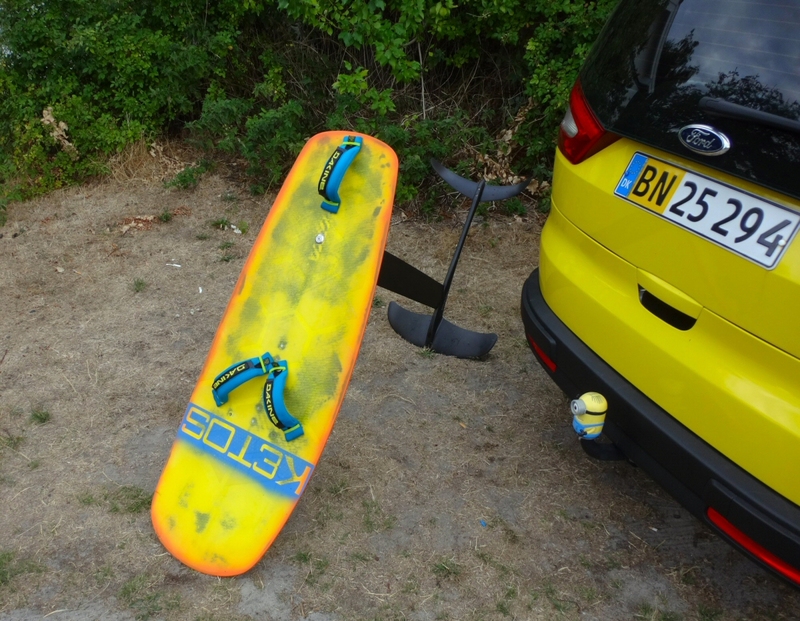 simply do not use your rear strap, have it there as a handle for moving the board around and for steadying the board just before you start off, but then just before you dive the kite remove your rear foot to just in front of the rear strap. this works very well, and you do find you will be moving your rear foot around quite a lot, which does help you get really comfortable no matter your speed, or wind strength, or wave positioning. even now with a board with tracks I never ever use the back strap to sail around. better out than in for me! Hmmm, I have been thinking about the many post saying the trim is altered quite some on the 633. When strapless no issue unless you got a supershort board. 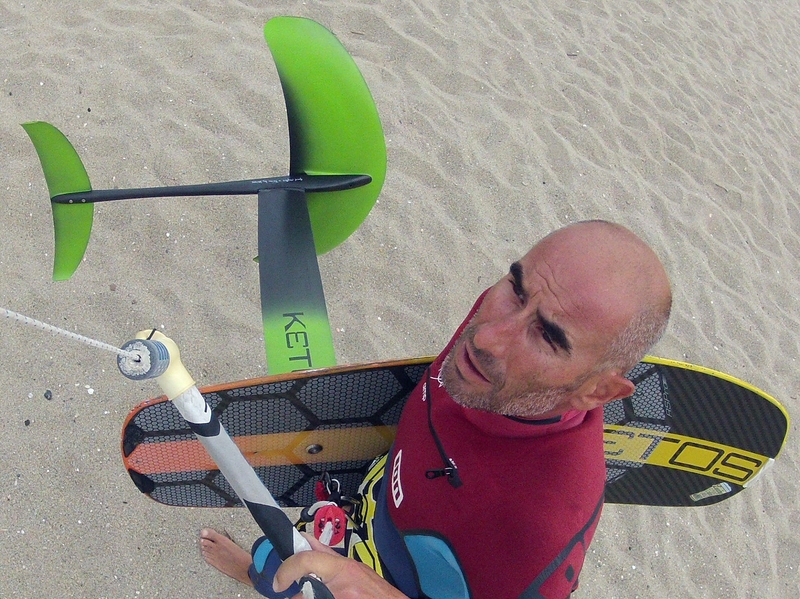 On a very similar wing, the Ketos 1200 cm2 Surf wing I dont move my feet around more than on my 790 cm2 wave wing (strapless that is), and I stand in the same place on both btw, not any noticeable difference. This is on purpose, so one can use straps (or hooks) if desired. Meaning the trailing edge of the wing is moved back (because on both big wings the chord is a lot wider) and the AOA set so you got the same neutral trim. My take on this difference is, the 633 sticks further out in front of the mast and might have a bit higher AOA too - both will make you need loads of front foot pressure (or another strap/hook trim). On the Moses, I can see the 633 trailing edge is at the same position as other wings, and I would think the AOA is slightly bigger too - meaning you have to move forward for a neutral trim. Back to your post Tom - as said I dont move my feet around more when on the 1200 cm2 than on the smaller wings, so straps would work just fine - eventhough like you say, "Why use straps" on such wings??? I have 633 and dont need to move my feet at all. Riding strapless or centre front strap only in very light /just for easier start/. Same position always - just angling front foot on different courses. But it was Tom I meant, and maybe also foil yes. Good to hear others that don't move their feet more when using bigger wings. Some do apparently, others don't.